It’s a big weekend for Harry Potter fans. Not only is Sunday both J.K. Rowling and Harry Potter’s birthdays, but Saturday is also the script release of the long-awaited play Harry Potter and the Cursed Child. The two part play, a spin off of the Harry Potter story, was a highly-anticipated collaborative effort by John Thorne, J.K. Rowling, and John Tiffany. Bookstores are already prepared to host parties and see fans dressed up in normal Harry Potter fanatic form. 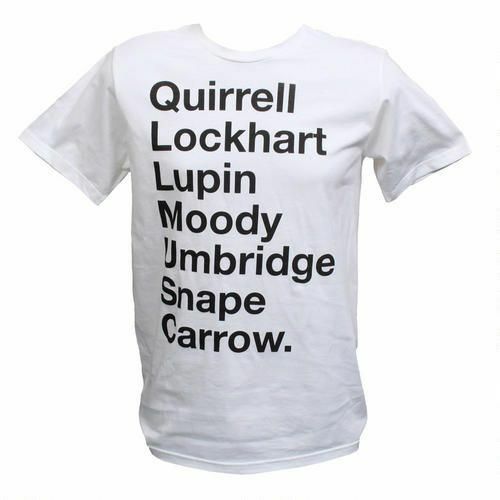 Whether you plan on joining the other Muggles in line at Barnes and Noble, or simply want to show your love for all things Harry, here are great t-shirts for Harry Potter fans who just wish they were wizards. We all remember how the story began. Before the words “You’re a wizard, Harry!” were spoken, there was a letter delivered to Mr. H Potter, a small boy with an unexplained lightening strike on his head. He came a long and far way since we found him furrowing in the small cupboard under Aunt Petunia’s stairway. As a true fan, you can show you remember where he came from with this Harry Potter t-shirt. No matter which is your favorite (or least favorite), any true Harry Potter fan can show their appreciation for all of the professors who dedicated their lives to passing on wizardry. At times they are great, and at times they are difficult, but they are always a part of Hogwarts. But 9¾ isn’t an option, you say? Try looking a little harder, and you might find that there’s a magical loophole. Any true Harry fan knows they are a 9¾ out of 10 on the obsession scale. We’re going to guess you saved the other ¼ to obsess over t-shirts. 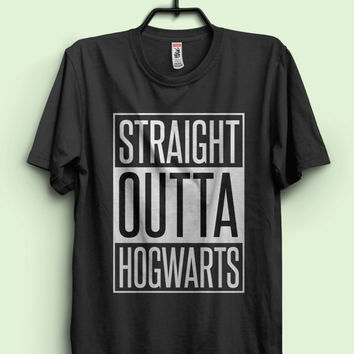 Let 100% of your obsession show with this Harry Potter t-shirt. Let’s be honest, we all know Ron and Hermoine are the only true Harry OGs. Either way, we can all relate to the strange feeling of just knowing the two of you would be best friends. Would you be in Harry’s clique? Of course you would. You better be prepared to show some mad wizard skills when wearing this one. If you don’t know the difference between LeviOsa and LeviosA, you’re simply not equipped to handle the power that comes with a statement like this. 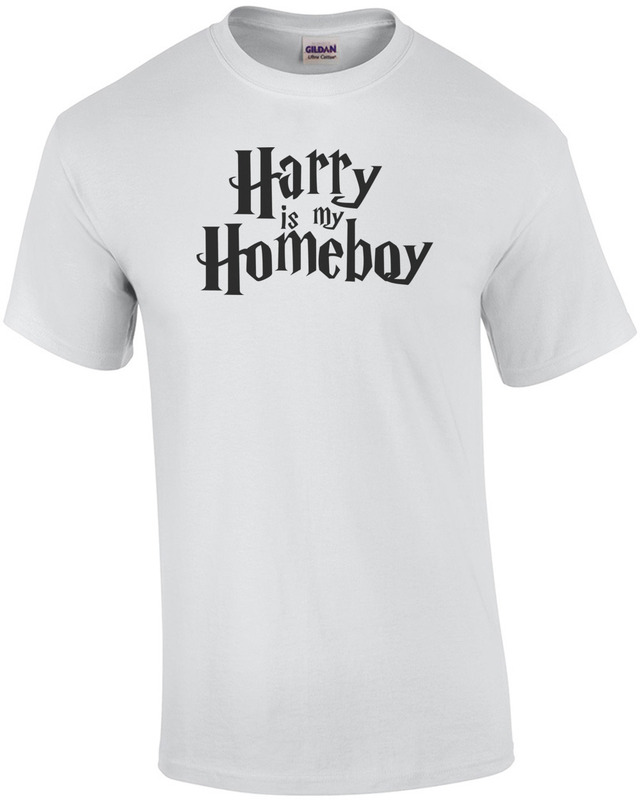 So, if Harry is your homeboy, so is Hagrid, right? This Harry Potter t-shirt shows appreciation for the man, myth, and legend who made Harry’s entire journey possible. If there’s anyone with true swag, it’s gotta be Hagrid. Whether you need to get to a secret passageway, or navigate evil on Hogwart’s campus, the power to open the Marauder’s Map will get you far in your wizardry goals. Just make sure you tell it “Mischief Managed” when you’re done. Happy birthday J.K. Rowling, and of course, happy birthday Harry Potter! Create your own version of any of these or your own using our Harry Potter font in our design studio.